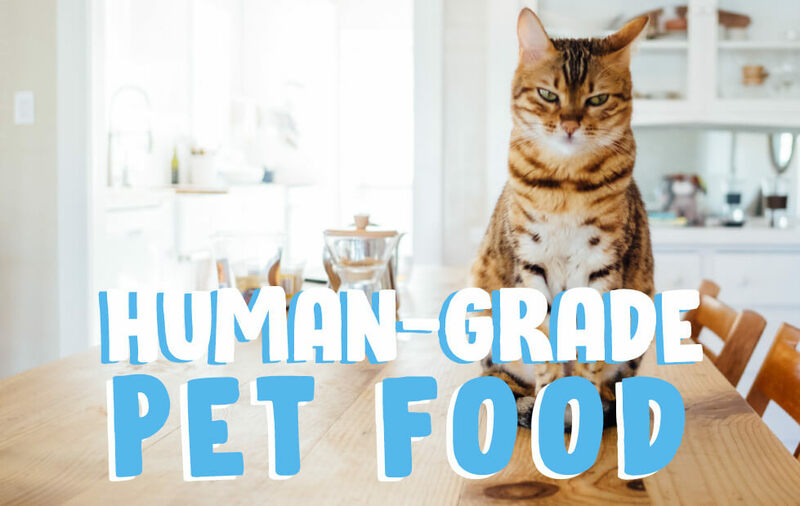 What exactly is human-grade pet food? Labeling pet food as human grade means that ALL its ingredients are human edible. Pet foods currently using the human-grade identifier are typically super-premium products, less processed and have less risk of contamination. The U.S. Food & Drug Administration’s (FDA) 21 CFR 110 “Food for Human Consumption” regulation (Current Good Manufacturing Practice in Manufacturing, Packing, or Holding Human Food) defines what is human edible and defines human food safety standards. Human-food facilities have higher standards and strictness for cleanliness, record keeping and food safety than standard pet-food facilities. Manufacturers and packagers must supply the FDA with detailed documentation from each ingredient supplier. The term “human grade” can only be used for the whole product, not individual ingredients. Each ingredient is fit for human nourishment. The finished food, including every ingredient, was stored, handled, processed and transported in compliance with Current Good Manufacturing Processes for human-edible foods in Federal regulation 21 CFR part 117. The manufacturing facility is licensed to produce human food by the designated local, county or state public health authority. Pet food with a human-grade claim must be labeled for its intended use, such as dog food or cat food. Most of today’s human-grade dog and cat food is frozen, dehydrated or freeze-dried. They typically have a statement of “complete and total nutrition” or one that says it meets the nutritional levels established by AAFCO. Brands offering human-grade pet food promote that their limited-ingredient, limited-processed formulas and superior ingredients will help improve a pet’s overall well-being. Pet parents value quality and safety and are willing to pay more for human-grade food to support their fur babies’ immunity, digestion and skin and fur health. The definition of human-grade continues to be reviewed by pet industry experts and AAFCO. For now, a food labeled as human grade means that it has 100 percent human edible ingredients that are produced, handled, stored and shipped from a facility licensed for human-edible food manufacturing.